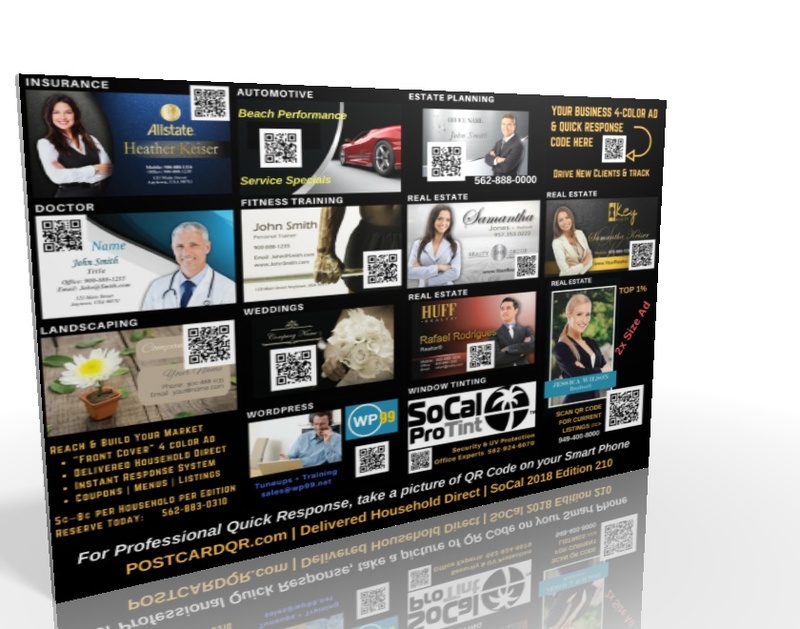 The SoCal Agency Team works with many local business professionals interested in reaching new clients cost effectively. 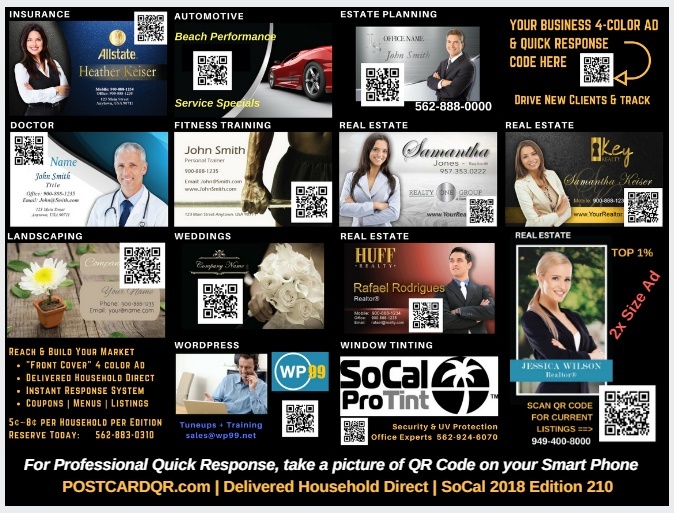 We Develop, Print & Deliver our high-quality sturdy 9″ x 12″ PostcardQR to every Household Mail Box Direct in the target local Zip Code in waves of 5,000 each for about 6¢ ~ 8¢ per Household. 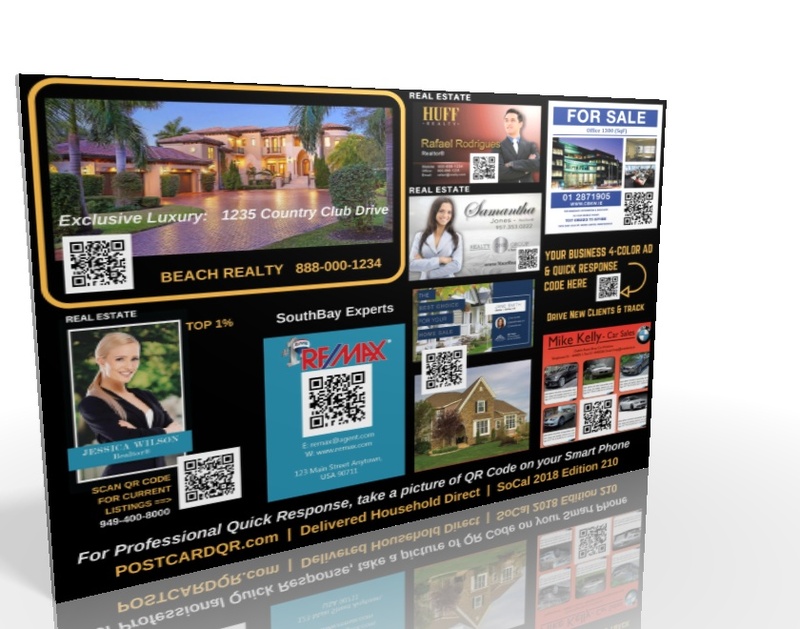 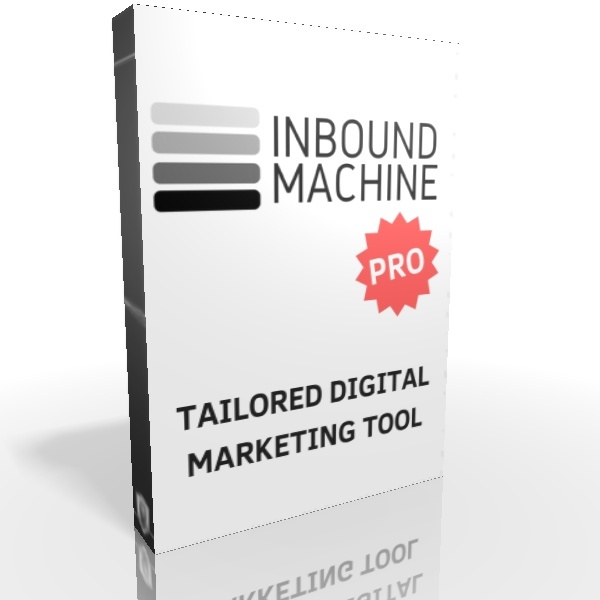 Each PostcardQR features select tailored four-color ads with a custom Quick Response Code integrated into our System for each Business that enables Autopilot Lead Capture by Mobile Smart Phones.